Yes, Virgin Atlantic's all-new Airbus A350 Upper Class business class seat has a sliding door. 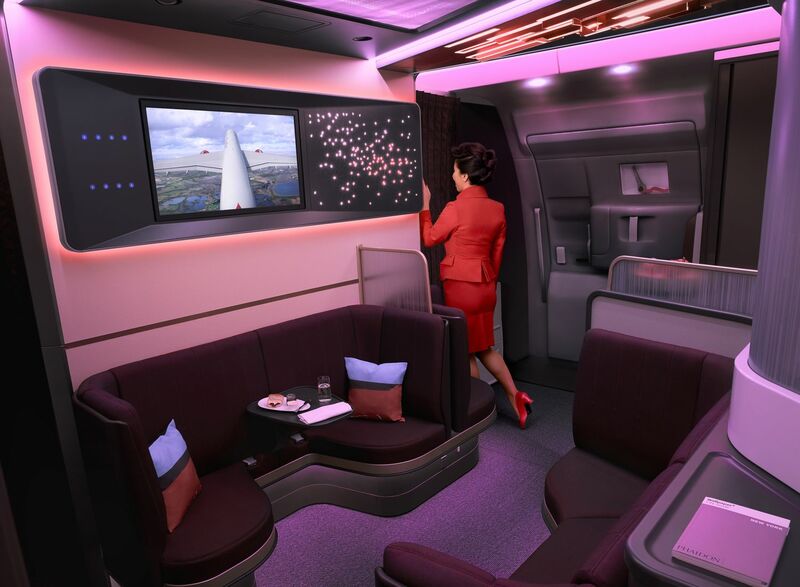 But oddly, that door doesn't close all the way to create the same private cocoon as British Airways' new Club Suite (also making an A350 debut mid-year) or the similar door de jour seats of Qatar Airways, Delta and China Eastern. Instead, Virgin has opted for a door which slides just halfway across, in a unique 'semi-suite' design which the airline says is to maintain a social connection between passengers and crew. While the suite doors won't completely close, the privacy divider between the paired middle seats will slide all the way forward (although these early seat mock-ups lacked any such movement). Virgin's A350s flying out of Heathrow will sport 44 Upper Class seats, while the jets based at Gatwick will have fewer business class seats, in keeping with the leisure-based nature of Virgin's Gatwick routes. There's a decent amount of personal space around the seat where flyers can spread their stuff and keep items such as smartphones, tablets, books, reading glasses and other kit close at hand. Each Upper Class seats converts to an 82-inch fully flat bed at the press of a button, so there's no more getting out of the seat to flip the back down into 'bed-mode'. 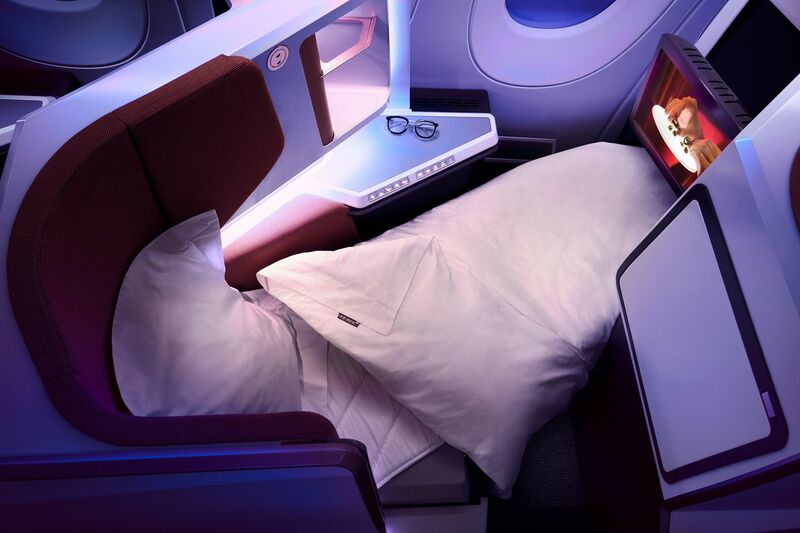 The bed itself is dressed with a thick mattress and pillow in the sky, while passengers can pre-order pyjamas – available in their choice of shorts or longer pants, paired with a T-shirt or long-sleeve top. So how's the legroom? As you'd expect from this kind of seat, it's always a bit better in the very front row, as the seat extends into the bulkhead wall rather than beneath the passenger ahead. ... and wth the bed extended, the foot-cubby doesn't seem too much of a squeeze. Other Upper Class creature comforts include an 18.5-inch HD video screen which can be controlled by your smartphone via Bluetooth, and personalised LED mood lighting in each suite. However, those large screens flip out from the seat's shell and will likely need to be locked back into place during taxi, take-off and landing – which means no gate-to-gate boxed set bingefests. The sophisticated warm colour palette of the business class seats and cabin echoes that of the Upper Class bar, or rather, the no-longer-a-bar. Virgin has ditched its dedicated but sometimes boisterous stand-up bar for a lounge area dubbed The Loft. The revamped social space double as a lobby-style entrance for passengers – similar in some respects to The Lobby of Etihad's Airbus A380 – with drinks and snacks available for those who are quick to perch at one of the five padded pews, with standing space for three slightly slower-moving travellers. There's also a 32-inch HD TV for watching a movie or live sports, with audio piped over Bluetooth headphones. Virgin's take is that The Loft "extends its renowned Clubhouse experience to the skies, offering a wide range of cocktails, and the option for customers to dine together and enjoy Mile High afternoon tea by Eric Lanlard and a selection of delicious new dishes by Donal Skehan." 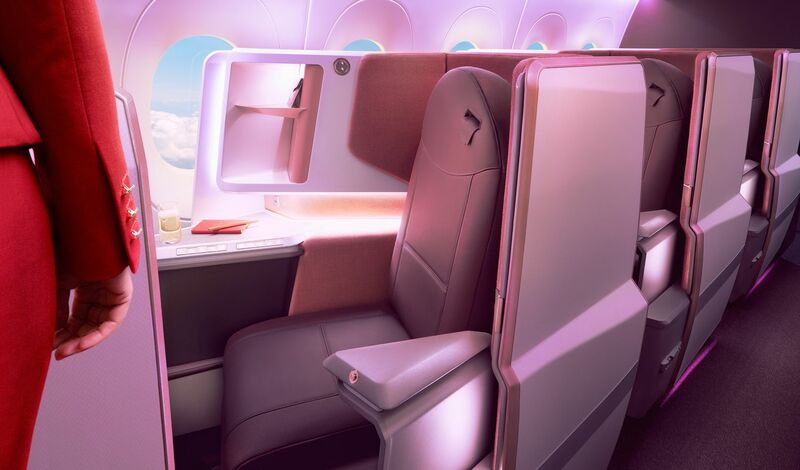 The new Upper Class suites will debut on Virgin's twelve factory-fresh Airbus A350s, the first of which is due in late (northern) summer, but will not in their cutrrent form be rolled out across Virgin's existing long-range fleet. 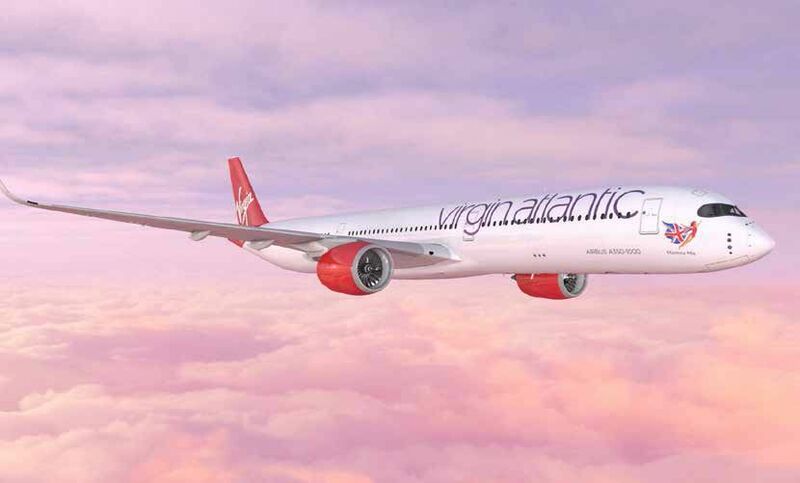 Virgin Atlantic's first Airbus A350 will begin flying between London Heathrow and New York JFK in August, "followed by other services to JFK later in the year", with all twelve A350s due to take wing "by 2021." Looks impressive, and must say love the ability to pre order pyjamas in the size and style you wish. The open lateral storage compartment doesn't look overly functional, and appears to block most of one window, which is unfortunate. my thoughts too but wondering if it is just the seat mock up thats doing that ? How are these seats forward-facing? From the pictures they're still clearly herringbone, just that the window seats now face the window instead of the aisle. Forward-facing seats is what QF, SQ etc has. Modern J class seats are all forward facing apart from the bespoke seats of airlines such as Qatar. 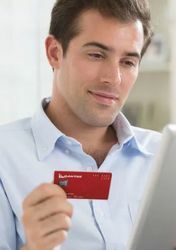 It really comes down to whether they are reverse herringbone (VA, AA, CX) and most commonly seen as the Rockwell Super Diamond or staggered (QF, EY, EK) most commonly seen as Thomson Vantage XL. Both have advantages and disadvantages. The main advantage of a reverse herringbone is that as the plane fuselage gets wider, you can increase the angle further from the centre-line meaning you can accommodate more seats within the same space (though as you adjust you need to consider things such as airbag seatbelts). With a staggered arrangement, you cannot add more seats as the fuselage widens meaning a 777 and A330 are both 4 abreast in J even though the cabin in the 777 is about 2 feet wider. These are a modified herringbone seating pattern; they are not forward-facing. Please take note Air NZ. It shouldn't be news to anyone that when you board first you can end up spending quite a bit of time sitting there before the plane takes off. I can sometimes watch half a movie. All seems a bit middle of the road. Big upgrade from their cattle stalls Upper Class offering at the moment, but it really looks middling. Plus, all that purple and red mood lighting jars and takes away from the beauty of the seats. They should’ve used a bit more natural lighting. Yes, the cabin mock-up lighting at the launch was set to 11 on the funky meter – in natural light the seats look so much better! What I find most odd about the new VS suite is the fact that they have no plans on retrofitting it to any other aircraft (according to what they have told The Telegraph in the UK). I totally understand they wouldn't retrofit it to aircraft soon to retire - the 747 and the A340 - but the decision to not retrofit it to aircraft that will be flying around for ages means the bulk of their fleet will be flying around with previous gen seating in five years time. 12 x A330's - current seat. That means a minority of it's fleet will ever see the new product which I find weird given BA announced that with the exception of the 747's which will make their way to the scrapyard over the next few years ALL longhaul aircraft will receive a retrofit. Was there any indication on when the A350 might be launched on the London - Hong Kong route? The seat looks fine...no surprises here. The real difference is the service offered...meals on demand, and no saying we have run out of this, or that. My immediate reaction is one of disappointment. We regularly flew VA Upper Class from Heathrow to Sydney and enjoyed most aspect except the herringbone layout. This doesn't seem to have really changed and why is the window seat unable to see the window, particularly if the TV screen is to be stowed prior to take off and landing. This is one of the joys of using Emirates. I'm also less than impressed that you can "pre-order" PJs as this implies a cost. I'd prefer to take my own! I assume that there are no plans for VA to recommence their through flight to Australia so, in the meantime, we'll continue to look at the Middle East carriers. Does the bar breach that US requirement to 'not congregate in public areas' on flights to the US? 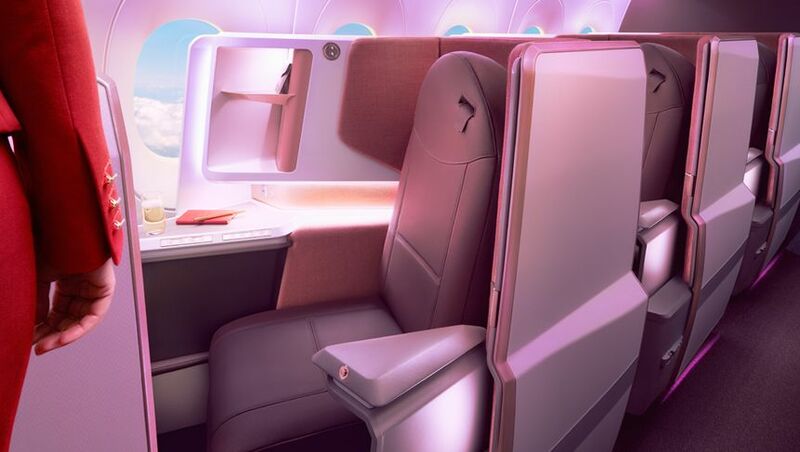 Comment on "Virgin Atlantic's A350 Upper Class business class seat revealed"